With Dryver's personal driver services, you can find a professional driver to meet any need, from designated drivers for a night out to personal chauffeurs for events or errands. 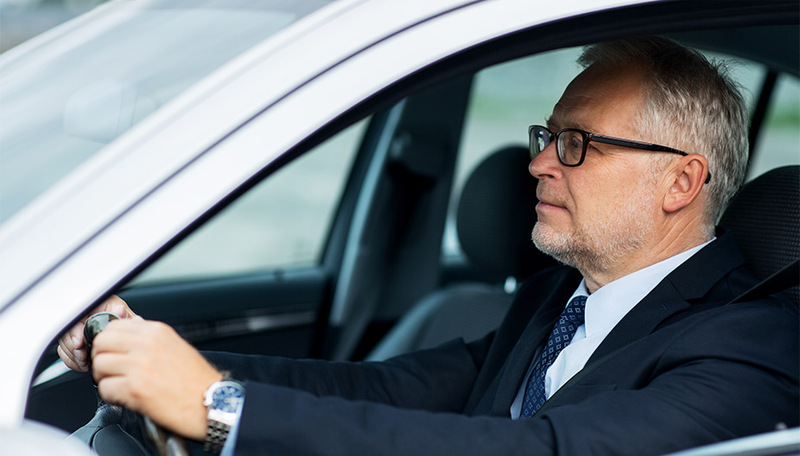 Whether you need transportation on a business trip or just a ride to a doctor’s appointment and back, our personal drivers provide a chauffeur experience in the comfort of your own car. Why Reserve a Designated Driver from Dryver.com? "I've used your service now about 7-8 times, and I need to tell you that I've been nothing short of amazed by the level of quality provided by your drivers. Dryver is the best service offered in the last two decades. Thank you for being amazing, Dryver." Because we drive your car for you, we're able to offer personal driver services far more cost-effectively than using a taxi or limo, no matter where you need us to take you. Learn how it works and what to expect when you reserve a personal driver through Dryver.com. Because we take meticulous care in reviewing, screening and selecting our personal drivers, you can trust in our outstanding service and safety standards. Dryver also carries a $1 million commercial auto insurance policy that covers its customers' vehicles and rental cars if a Dryver referred driver is ever at fault. Learn more about the professional drivers and rigorous screening that make up our chauffeur services.